Emergency crews, charities and the UK government are co-ordinating efforts to help with the rescue operation in Haiti after it was hit by an earthquake. The 7.0-magnitude quake that hit south of the Haitian capital Port-au-Prince is feared to have killed thousands of people across the Caribbean country. Prime Minister Gordon Brown said he was "deeply saddened" by the disaster and pledged whatever support was needed. The Foreign Office is working to locate and contact any UK citizens in Haiti. A government spokesman said no British casualties had been reported so far. Foreign Office minister Glenys Kinnock said the department was "working hard to locate and contact British nationals in the country" and was in regular contact with their relatives in the UK. 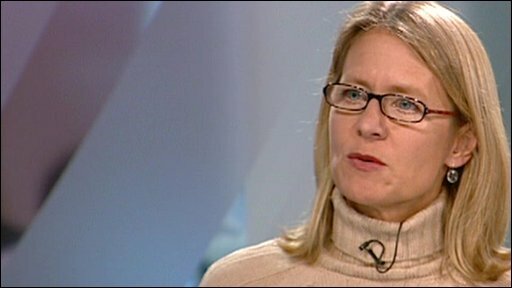 She said Britain's honorary consul in Port-au-Prince was working hard despite "major communications challenges". Britain's ambassador, who is based in the neighbouring Dominican Republic, is on his way to Haiti to assess the situation. A consular rapid deployment team is also preparing to travel to the area. The French embassy in Port-au-Prince was also ready to assist British nationals there, Mrs Kinnock added. 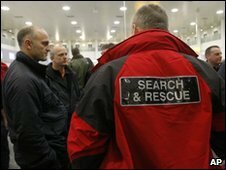 UK teams are being deployed to Haiti to assess humanitarian needs and help with search and rescue. A 64-strong team of firefighters from across the UK has volunteered to fly out to the quake zone. The team will be taking specialist equipment and two search dogs. But aid from the UK has been delayed after the closure of Gatwick Airport because of the heavy snow and treacherous weather. Lincolnshire's Chief Fire Officer, Mike Thomas, will act as team leader for the whole of the UK response. He said many of the team members had helped out in similar situations before and knew what to expect in the rescue operation. "We know the devastation, risks and shock this can have on a community and we'll be there to help as best we can," he said. Greater Manchester firefighter Peter Stevenson, who will work as operation commander when the volunteers arrive in Haiti, said they would work in two teams to search for survivors. "One rescue can take between six and 10 hours, depending on the situation and what the building is made from," Mr Stevenson said. "We go totally self-reliant, with several tonnes of equipment so we can work 24 hours a day on at least two separate sites." The teams will be using heavy breaking equipment, specialist cameras and acoustic listening devices. The group includes volunteers from fire and rescue services in Greater Manchester, Lancashire, West Sussex, Kent, the West Midlands, Lincolnshire, Hampshire, and mid and west Wales. Cornwall-based international relief charity Shelterbox, which provides survival and shelter equipment in disaster zones, has also mobilised a response team from the UK and the USA to assess the aid requirements of victims left homeless by the earthquake. The firefighters do not know how long they will have to stay in Haiti but a spokesman for Greater Manchester Fire and Rescue Service said they would only have a "small window of opportunity" to try to reach people buried beneath the rubble. Mr Brown expressed his sympathy for the victims of the earthquake. 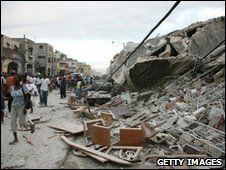 He said: "I am deeply saddened and worried about the reported scale of the earthquake in Haiti. "I am sending a message of sympathy and support to President Preval and we are sending a team from the Department for International Development to assess the humanitarian needs. "We stand ready to provide whatever humanitarian assistance is required." Much of Haiti's nine million population is impoverished and the disaster comes after years of political instability. The country has suffered a number of recent disasters, including hurricanes and storms in 2008. The Department for International Development (DFID) is helping to co-ordinate UK aid being sent to Haiti. 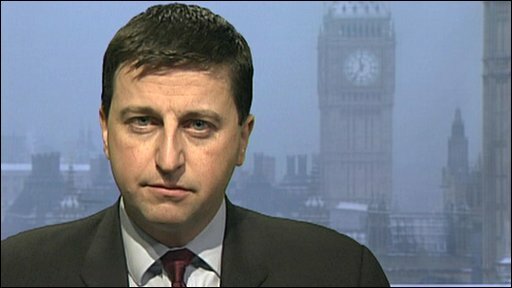 International Development Secretary Douglas Alexander warned Haiti would not only need help in rescuing individuals, but also in rebuilding damaged infrastructure and restoring vital public services. He told the BBC News Channel: "While it is vital and urgent that we get people on to the ground in terms of rescuing people from the rubble, this is going to be a longer-term endeavour. "That is why the whole international community needs to work together to address the needs that are uncovered as a result of this terrible tragedy." Save the Children, which has 60 staff working in Haiti, has released £50,000, launching an appeal for £3m. Oxfam said it had a 100-strong team focusing on public health, water and sanitation services to prevent the spread of waterborne disease in Haiti. It has launched an appeal for millions of pounds. The British Red Cross said the most urgent needs were search and rescue, hospital care, emergency health support, clean water and shelter. It has released £200,000 from its funds. Christian Aid also launched a £1m emergency appeal for victims, while the medical services charity Merlin said it had launched a £250,000 emergency appeal and was mobilising a response team to fly to Haiti. A Scottish-based rescue organisation said it was desperate for more funds so it could go to the disaster-struck nation. Derek Jolly, from the International Rescue Corps (IRC), based in Grangemouth, said the charity had just £30,000 left in the bank. A rescue mission would cost at least £35,000. About 40 of the charity's 150 members are on standby to go to disasters. ActionAid, an international charity, said it was also sending an emergency response team to Haiti.